Want to play your Nintendo gameboy titles on your own computer? VisualBoyAdvance is the best gameboy simulator around. If you ever feel like playing Super Mario or Pokemon on your desktop computer, then simply install VisualBoyAdvance and get to playing. This cool emulator is absolutely free and once you actually start playing, you’ll pretty much forget that you’re not back in 2001 and drooling over your new handheld toy, the Gameboy Advance. 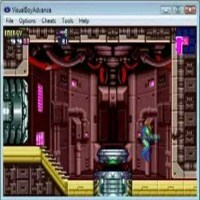 VisualBoyAdvance or VBA for short, is a straightforward gameboy emulator that was originally developed by Forgotten. After the initial project was abandoned, the project was salvaged by a group of programmers and hackers led by kxu. The current version is pretty much improved compared to the very first version that came out. (Programming and developing were stopped in 2004. ) Some of the more current offshoots are done by random hackers developing their own branches of the system. The emulator runs perfectly and pretty much plays any gameboy title that you throw it. You can count on the emulator to run the same colors as the one on the actual gameboy so there won’t be any need for you to get a separate emulator to get the graphics right. Some of the cool features that you can expect from the system include full joystick support, game saving options, sound recording, AVI recording, and hacking tools, just to name a few. Overall, the emulator is near perfect. If you want to enjoy the nostalgia and the fun of gameboy titles, then this is an emulator worth checking out.